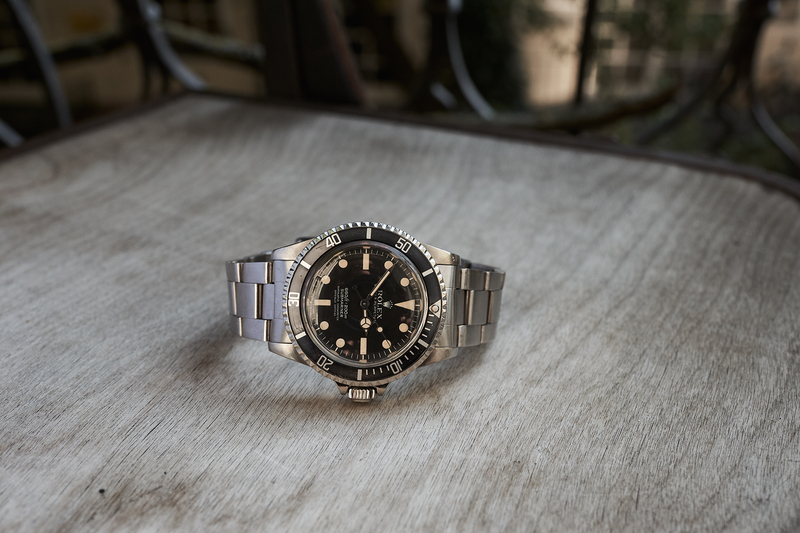 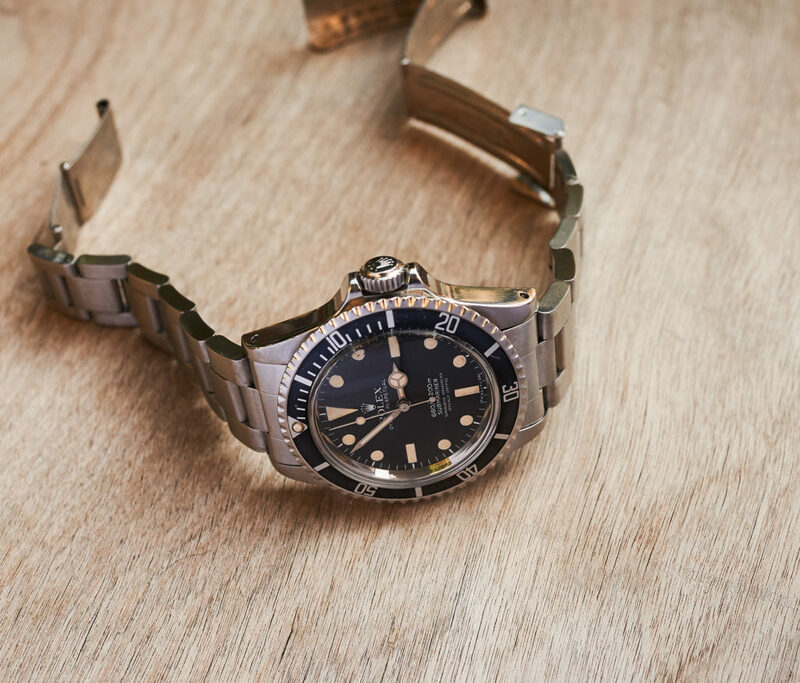 The Rolex Submariner 5512 Chronometer with the youngest dial version ever been produced, the so called Maxi Dial, is maybe one of the very last underrated really rare Rolex divers outthere. 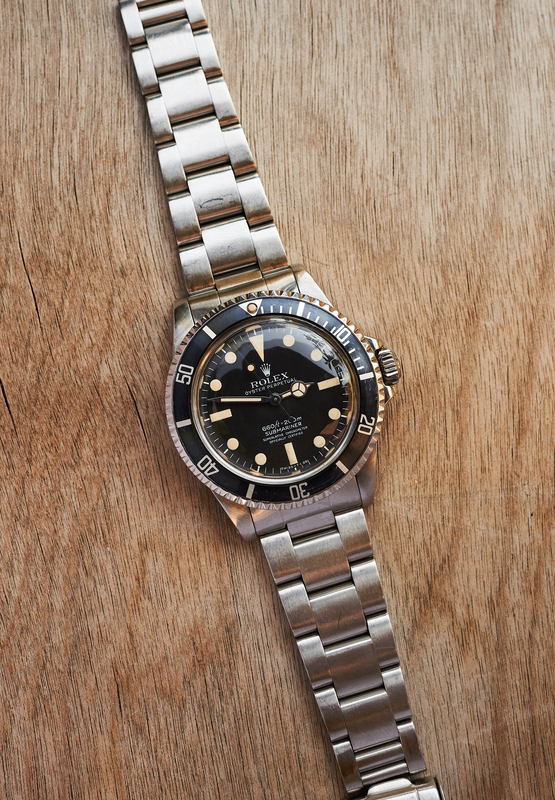 It won´t happen too often that you see one in life or even find one being offered for sale. 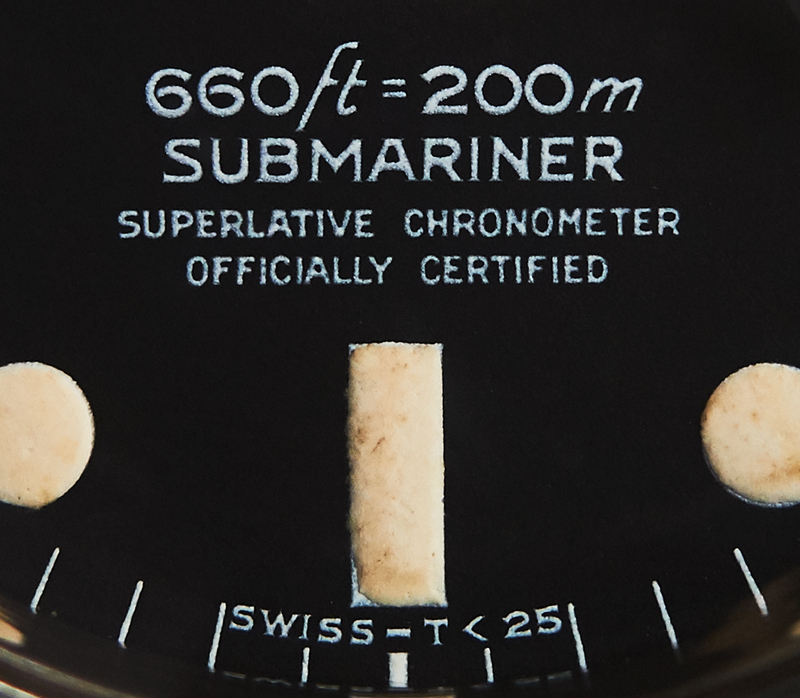 Most examples have allready been collected and are highly appreciated by their owners, as they combine the outstanding cool look of a „puffy lume“ maxi dial and the fact of being a rare collectors watch. 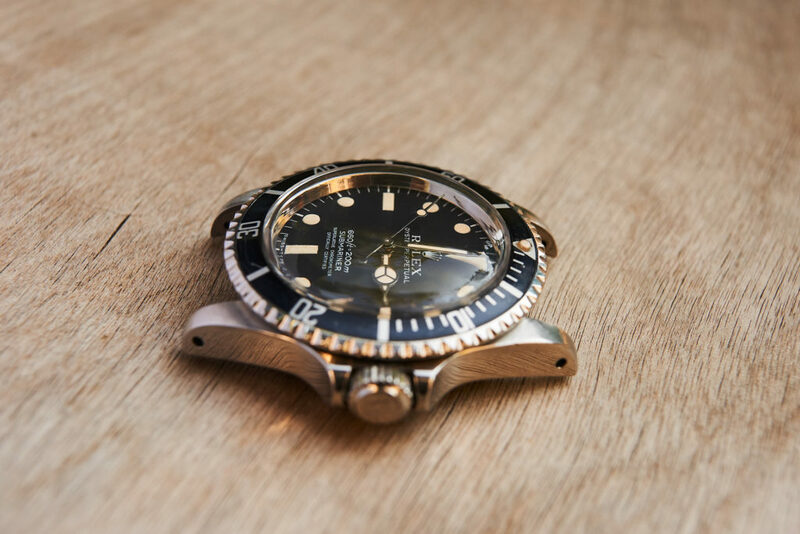 Unlike their non-chronometer pendant the 5513 Sub which is a beauty as well but much more common to the scene. 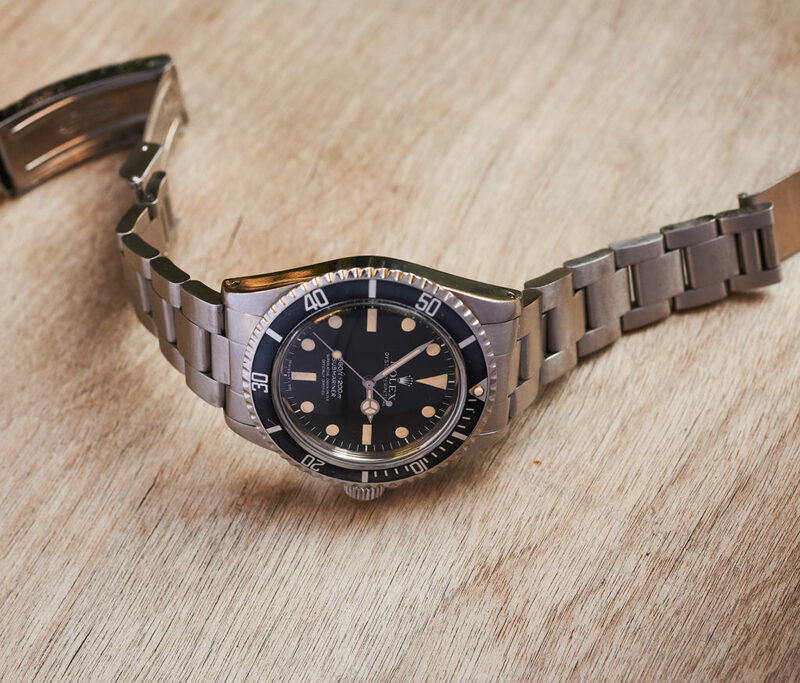 Our example here from 1979 is an all over full original piece, carrying a beautiful grey/blue faded fat font bezelinsert with T-perl and still the original triplockcrown. 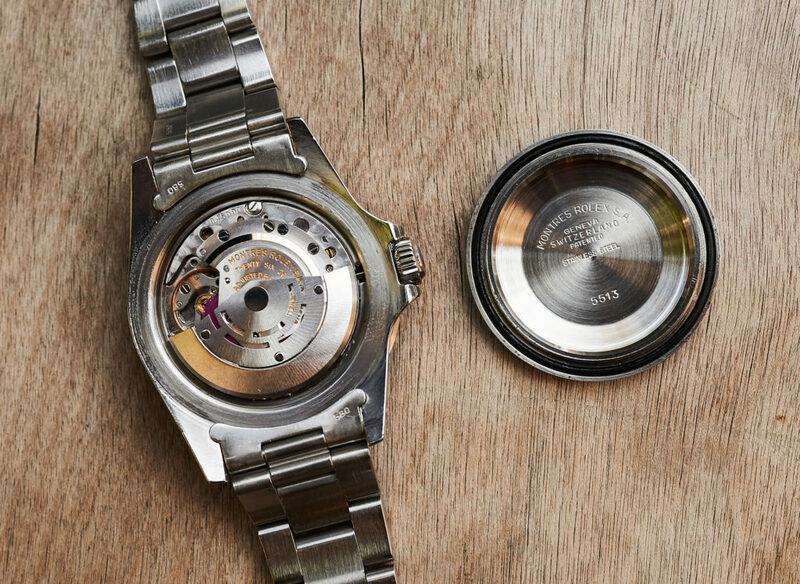 The case with clearly readable numbers (6,1 mio / 5513 caseback as should be) is in a very fat and well preserved condition, coming on the fitting 93150 Oysterbracelet (580 ends/ Claspcode G). 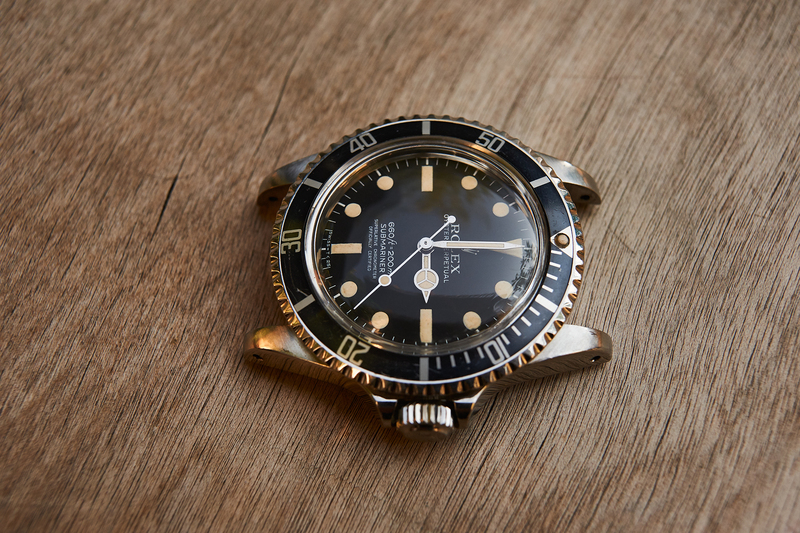 The beautiful Mk1 Maxidial with all vanillatoned tritium-plots appearing in full size is absolutely unmolested and carrying a colormatching t-lume handset. 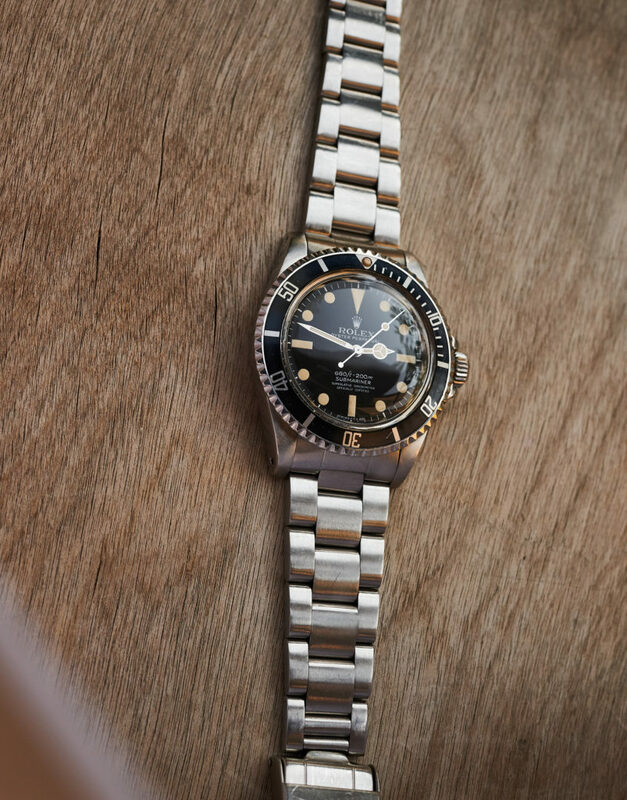 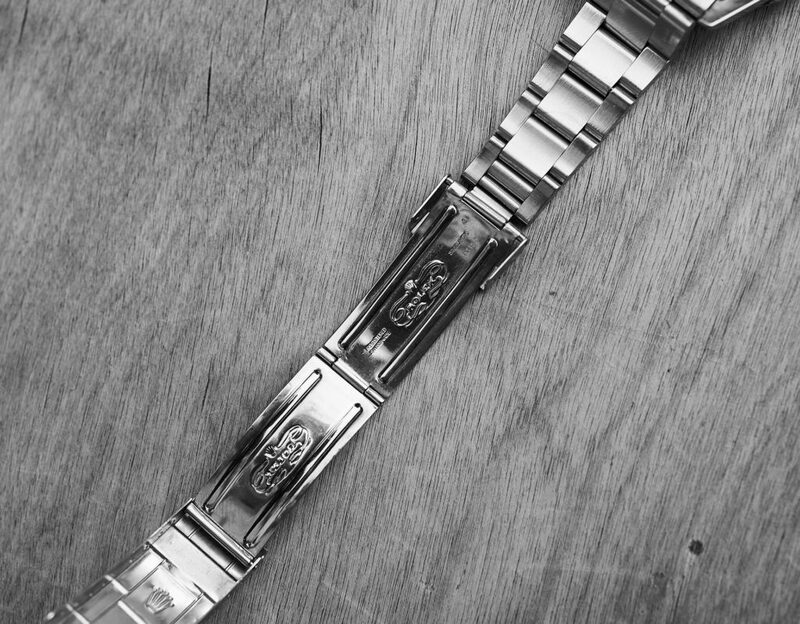 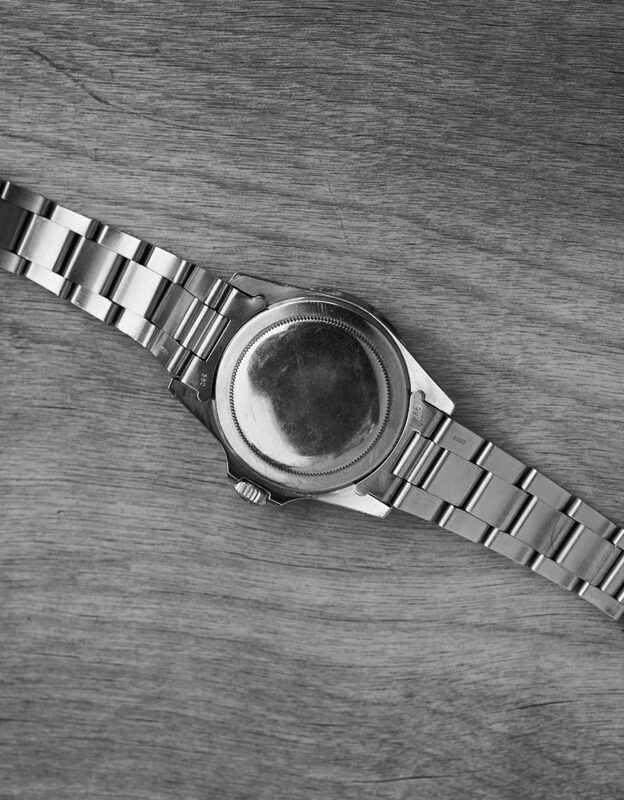 The Rolex caliber 1570 is working strong and exactly just as we are used to from those powerhouses. 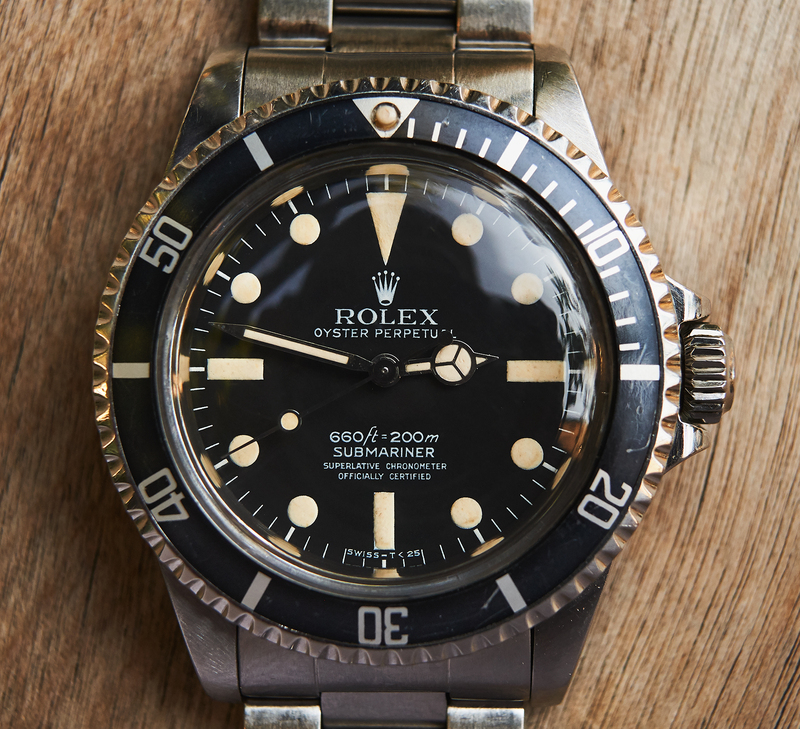 This 5512 is an allover pleasure to wear and collect for any vintagewatch connaisseur.